Game Changer, the highly-anticipated investigation into AI insights, is now available to train on Chessable with MoveTrainer™. Change YOUR game with this cutting-edge research. Game Changer reveals how the self-learning artificial intelligence system AlphaZero thinks and how this has changed what we understand about chess. 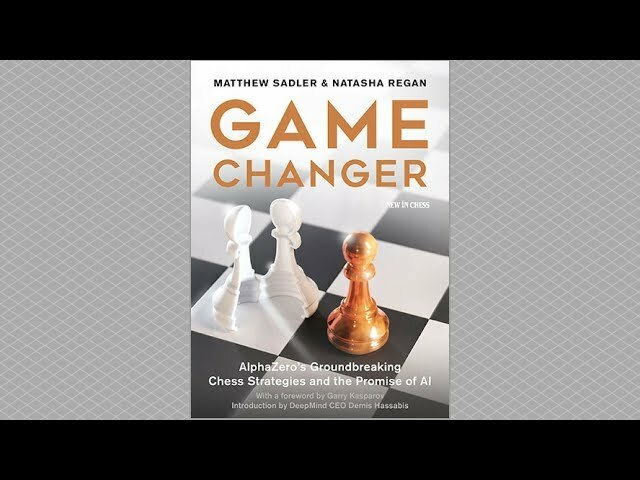 "This book will help to spark a new era of creativity in chess,"
For Game Changer, authors Matthew Sadler and Natasha Regan investigated more than two thousand previously unpublished games by AlphaZero. They also had unparalleled access to its team of developers and were offered a unique look ‘under the bonnet’ to grasp the depth and breadth of AlphaZero’s search. Game Changer has changed the game - change with it! Game Changer presents a collection of lucidly explained chess games of astonishing quality. "AlphaZero plays like a human on fire," GM Matthew Sadler proclaimed. Both professionals and club players will improve their game by studying AlphaZero’s stunning discoveries in every field that matters: opening play, piece mobility, initiative, attacking techniques, long-term sacrifices and much more. The book opens with a foreword by former World Chess Champion Garry Kasparov and an introduction by DeepMind CEO Demis Hassabis. Matthew Sadler is a Grandmaster who twice won the British Championship and was awarded an individual Gold Medal at the 1996 Olympiad. He has authored several highly acclaimed books on chess and has been writing the famous ‘Sadler on Books’ column for New In Chess magazine for many years. Natasha Regan, a Women’s International Master from England, who after her degree in mathematics from the University of Cambridge has had a successful career in chess. 4.8 out of 5 stars, based on 24 user ratings.